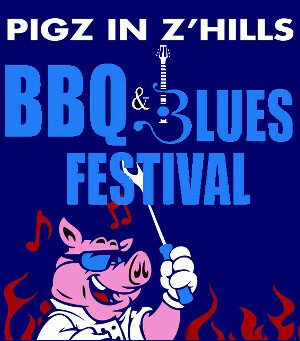 Zephyrhills is probably best known for its spring water, but the Pigs In Z'Hills BBQ & Blues Festival is building a reputation for barbecue contests and blues music. Held annually on the grounds of the Zephyrhills Munipal Airport, you're welcome to cruise in or fly in. The festival features a Florida BBQ Association sanctioned competition with over 50 professional and amateur teams in chicken, pork, brisket, and rib categories. Professional teams compete for $10,000 in prize money, and qualification to compete in other prestigious nationwide contests. Many of the competitors are serving their delicious barbecue at food stands open to the public. You can enjoy your barbecue while listening to non-stop entertainment from a continuous lineup of live blues musicians. Groups include regional and national artists, along with some of the best local talent. Bring a blanket or a lawn chair so you can relax in the grass covered area near the stage. Other attractions include a "Kidz Fun Zone" where you can buy the kids a wrist band to play all day long on a variety of bounce houses, inflatable slides, obstacle courses and climbing walls. Carnival games, pony rides, and other fun stuff is also available. Since the festival grounds are at the airport, an aviation showcase with displays, demonstrations and exhibits has always been a feature at this event. The Zephyrhills Museum of Military History is located adjacent to the festival, and is open for visitors.